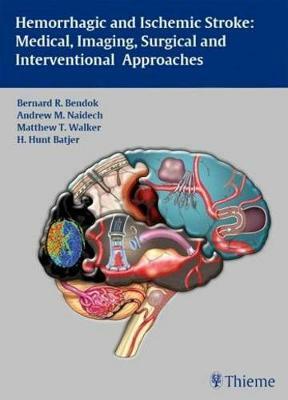 Edited by renowned leaders in the field, Hemorrhagic and Ischemic Stroke: Medical, Imaging, Surgical, and Interventional Approaches provides comprehensive, practical, and cutting-edge information for neurosurgeons, neurologists, radiologists, neurointerventionalists, other health care professionals who care for stroke patients. This go-to reference covers the core of stroke care in a holistic and multidisciplinary approach and will prove essential for physicians and trainees alike. This book will give clinicians the opportunity to learn how their colleagues contribute to patient care and become more knowledgeable and effective team members. It also responds to the exploding cross-specialty interest in the management of stroke.